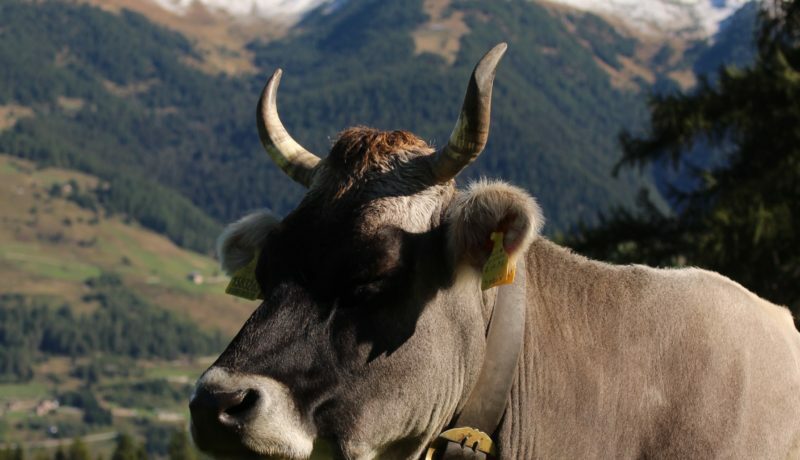 Grey Alpine races and Simmental are raised with love and respect in the farm to produce a quality raw material and serve genuine products at Km 0. Adele and Silvio grandparents, as almost all of the mountain villages families, have always raised some dairy cow in the small stable home, to ensure milk and cheese on the table of seven children. 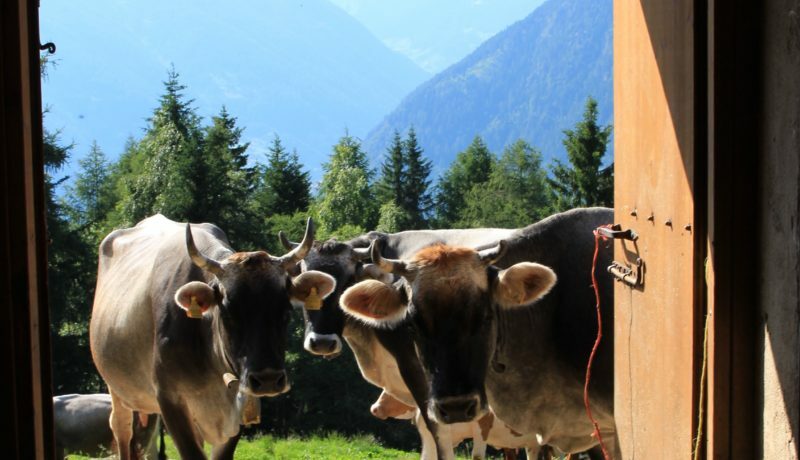 Now things have changed, but the history of our valley is deeply tied to the art of the milk and cheese makers … we are proud to continue the tradition and enrich it with a pinch of modernity! 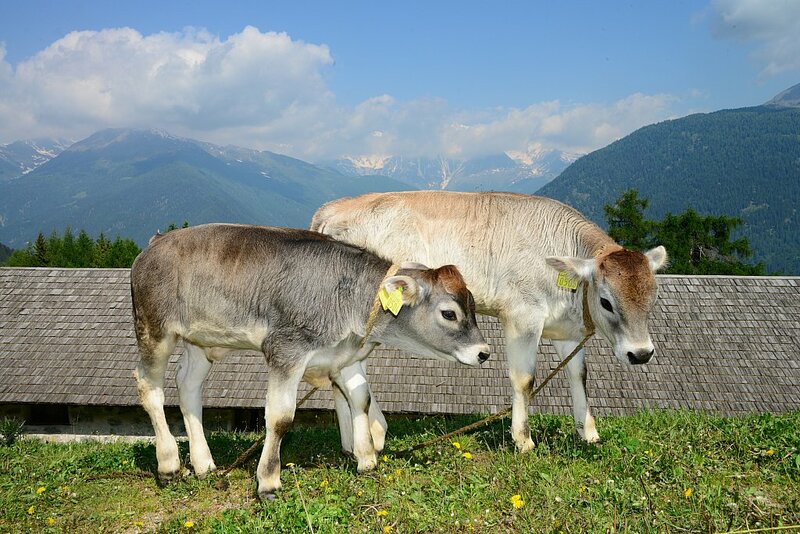 After the past winter in the stall our ladies are enjoying the spring and autumn grazing in the countryside close to the company, while the Summer will spend in the mountain pastures to Malga Alta Pellizzano. The mountain queens: they are hardy, vigorous and eat deep pasture. 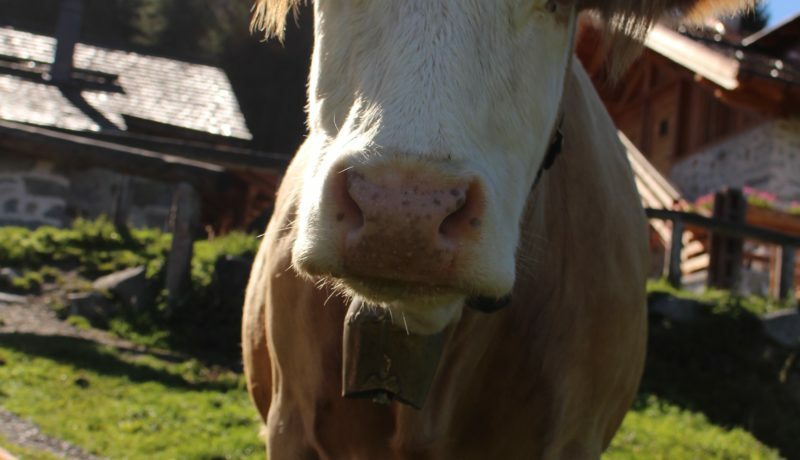 Producing an average of 5.0 kg of milk per meal in the non-forced breeding conditions, with a good composition in fat and protein that promotes the transformation into cheeses. Called the “bull riding” was distinguished in the agricultural work of a time to hardiness, adaptability and good dynamic attitude. They produce an average of 7.5 kg of milk per meal in the unforced farming conditions with an excellent quality – quantity.